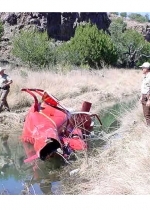 MARCH 12--Amazon.com boss Jeff Bezos avoided serious injuries last Thursday when a helicopter in which he was riding crashed in mountainous terrain in west Texas. 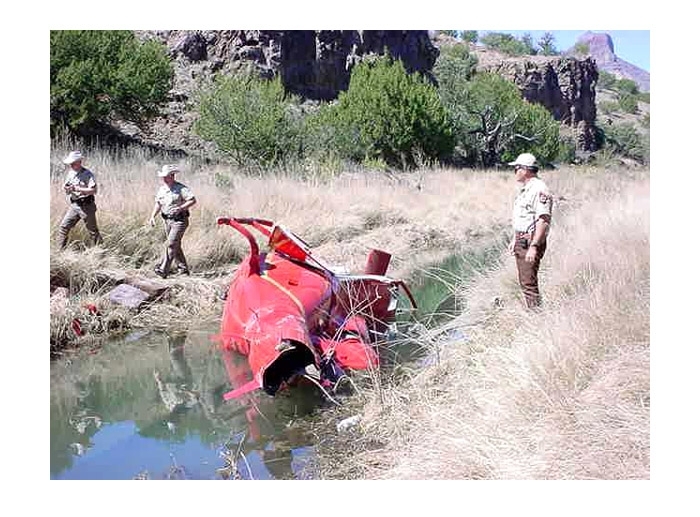 According to a Federal Aviation Administration preliminary report, the Gazelle copter carrying Bezos, his executive assistant, and another passenger hit a tree during take-off and crashed, winding up partially submerged in a creek. The 39-year-old Bezos, who was in the area scouting properties for possible purchase, suffered a head laceration in the crash. Brewster County Sheriff's Office deputies took Bezos and his fellow passengers to a local hospital for treatment of minor injuries. Click here for a photo of the accident scene provided to TSG by the sheriff.